R.I.S.E. congratulates the phenomenal and empowering work of the R.I.S.E. Artist + Poet 2018 Fellowship Recipients. In this episode BBP sits down with R.I.S.E. founder/director Demian DinéYazhi´ to find out exactly what is was like to launch R.I.S.E. Fellowship, the first of its kind, which centers Indigenous Queer, Gender Gradient/Non-Conforming, Trans, and/or Two Spirit artists and poets. We talk about the many reasons for creating this fellowship through R.I.S.E. and go into the process of putting out the call, reviewing applicants, and creating long term community relationships with all artists and poets who applied, including but not limited to the recipients. We also get into conversation with R.I.S.E. Fellowship lead recipient artist Katherine Paul / Black Belt Eagle Scout (Swinomish Indian Tribal Community / Iñupiat NANA Shareholder), and additional R.I.S.E. Fellowship recipients Whess Harman (Lake Babine Nation) and fabian romero (Purepecha) who all share about their practices and explain what it means to them to have been selected as a 2018 R.I.S.E. Fellow. R.I.S.E. : Radical Indigenous Survivance & Empowerment is an Indigenous led artist/activist initiative amplifying Indigenous Queer, Trans, Gender Non-Conforming/Gradient, Two-Spirit, and Matriarchal voices that challenge and actively decolonize heteropatriarchal and settler colonial sociopolitical structures. For its inaugural fellowship, R.I.S.E. is honored to celebrate the critical work of three Indigenous Queer, Gender Gradient/Non-Conforming, Trans, and/or Two-Spirit artists. The award of a $1,000 unrestricted Artist Fellowship is presented to R.I.S.E. Fellowship lead recipient artist Katherine Paul / Black Belt Eagle Scout (Swinomish Indian Tribal Community / Iñupiat NANA Shareholder), and thanks to a generous donation, R.I.S.E. is also able to offer two additional $500 fellowships recognizing the invaluable work of Whess Harman (Lake Babine Nation) and fabian romero (Purepecha). 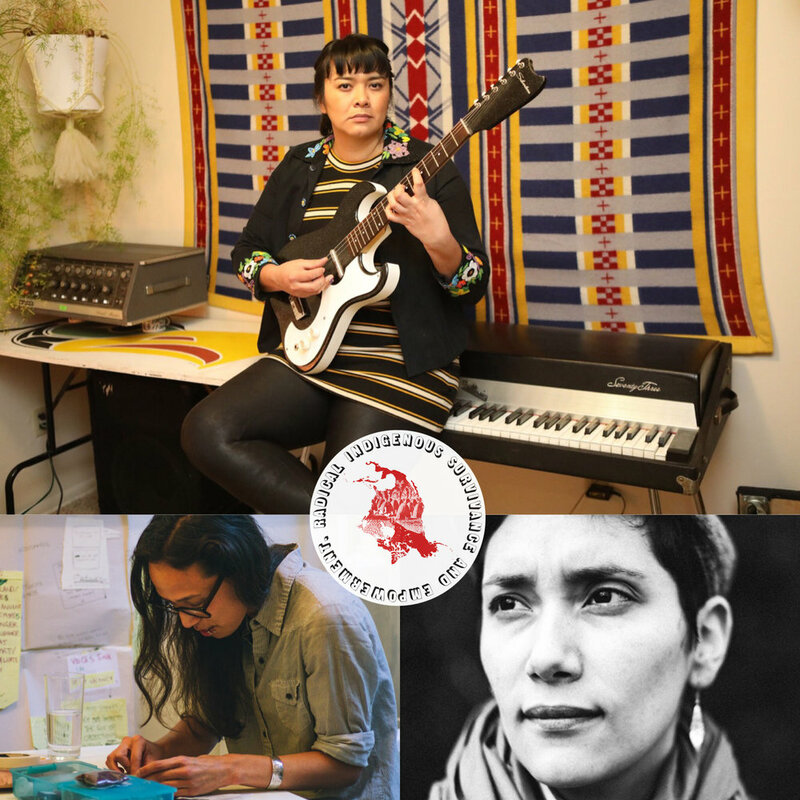 This year, our artistic panel of three Indigenous artists and organizers gathered to carefully select the 2018 Fellows, facilitated by R.I.S.E. founder/director Demian DinéYazhi´: Hank Cooper (Arts Program Manager at Daybreak Star Indian Cultural Center), Kevin Holden (artist and co-director of LOCUSTS zine), and Ginger Dunnill (founder of Broken Boxes Podcast, founding member of Winter Count Collective, and Indigenous Goddess Gang and Dear Patriarchy contributor). On behalf of the judges, R.I.S.E. congratulates the rigorous, crucial, and compelling work of the R.I.S.E. Fellowship Recipients who exemplified all the criteria and objectives highlighted in the Fellowship. R.I.S.E. would like to thank the all the applicants who applied to this year's Fellowship and additionally honor all the time and energy put into their application, but more importantly the passion and dedication each artist and poet brings to their art and community. We would like to also address three honorable mentions for this year's cycle: Cleo Keahna (White Earth Ojibwe, Meskwaki, Blackfeet, Sioux), AuMAR (Edo (Nigeria) & Bassa (Cameroun)), and Dåkot-ta Alcantara-Camacho (Matao). We encourage all applicants to apply to next year's Fellowship and invite you to join us in celebrating this year's Fellows and the numerous applicants whose work is equally empowering and of critical importance! 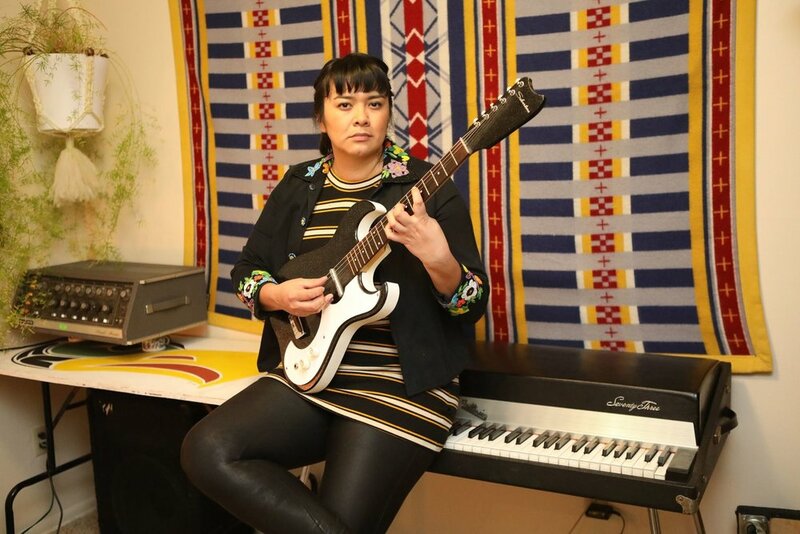 Whess Harman is a mixed-race, trans/non-binary artist, born in prince rupert, BC in 1990 and is a member of the Lake Babine Nation. Their work uses multi-media strategies in print, text and illustration to address issues of representation and memory. Whess completed a BFA at emily carr university in 2014 and have attended residencies at the banff art centre and the plug-in institute of contemporary art. 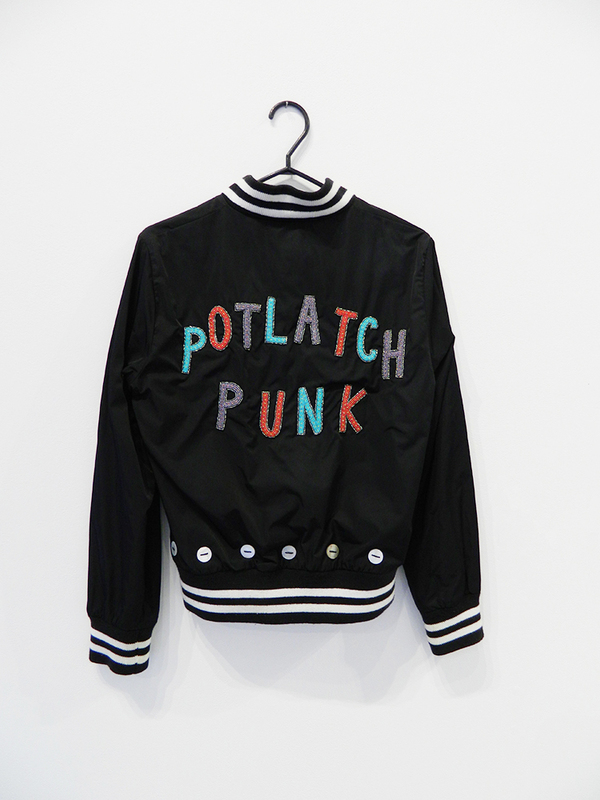 On-going work in includes beadwork and DIY strategies around punk aesthetics creating the “Potlatch Punk” series; an on-going collection of modified jackets that blend traditional materials with punk and DIY approaches to discuss identity and understandings of wealth. Their text-based work is also on-going and continually seeks to explore the possibilities of reciprocal engagement in the consumption of Indigenous voices and work. I am a mixed race, trans/non-binary, queer artist of the Carrier Witat Nation and these are identities I inherently carry through all my making. In my work I try to create a space where I can visually reconcile and collect the intersections of my own compounded identities of gender and race to examine how they are integrated into my cultural views. This pursuit is chosen in opposition to the colonial paradigms of understanding that dominate these conversations. The intentions of my work come from a desire to shout and call forward while embracing the scrambled paroxysms of descriptors and salvaged language we use to be understood by others; to demand attention to both the necessity and absurdity we go through in finding the labels which best describe ourselves. The elevation of juxtapositions and fractures in language are strategies I use as a way of deliberately highlighting mistranslations and misunderstandings in identities that are constantly renovated and commissioned upon by ourselves and others. fabian romero (Purepécha) is a two-spirit poet, filmmaker, artist and P.h.D. student in Gender, Women &amp; Sexuality Studies at the University of Washington. fabian’s academic and artistic interests integrate settler colonialism, performance, Latin American, race and gender studies with storytelling and poetry. Public Scholarship and Chicana studies also inform their work. Their work centers Purépecha people from Michoacán, Mexico to Seattle, Washington and beyond. My performance art, poetry and experimental film/digital poetry engages the topics of race, indigeneity, gender, sexuality, nationalism, and borders. I am interested in creating work that speaks back to the archive- a western concept of legitimate knowledge and something constructed from the destruction of many Native peoples teachings. In an attempt to disrupt the normalization of settler colonialism I write about the experiences and stories that exist outside of the imaginary of the settler such as the reality that urban and Native people in diaspora exist. My work refuses to forget the circumstances that brought us to the ahistorical settler present that treats the past is a blank slate to be rewritten and retold to benefit the settler. I want to awaken the history that lives in the bodies of the readers, audience members and patrons who experience my work. I write about silence as a space that can be explored for what it tells us about our history and our future. In my work time is non-linear and while I may write about the past it happens now as we experience poetry and the memory it invokes in us. Digital poetry has been the main medium for constructing the feeling of “place” through soundscape, poetry, photography and historical footage. The connection to land as an indigenous person is at the center of work and as a person in diaspora from the land of my peoples I am interested in constructing affective art that disrupts and imagines “place” as moving with us, something we can return to in memory and through poetry.